If you are a CEO or CFO of a growing health care company, we would welcome a conversation with you. Please call or email one of our investment professionals. 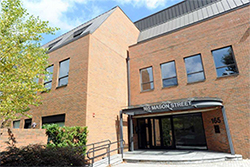 Our office is five blocks away from the Greenwich train station on the Metro North Line. Free parking is available for guests at the ground level next to our building or below ground in the basement.